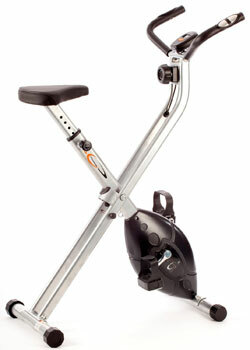 Is The Odd Shape Of The V-Fit FMTC2 Folding Magnetic Exercise Bike Enough To Appeal? 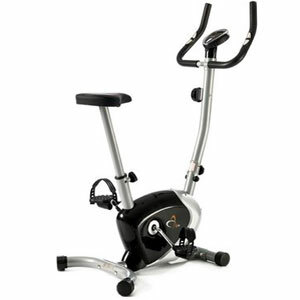 The V-Fit FMTC2 Folding Exercise Bike doesn’t look like a typical gym-ready bike. There are adjustments and moving parts in odd places. The bike also has a low centre of gravity, with the casing for the 4.5kg flywheel very close to the ground. There also isn’t much of a console besides a small readout for data. This won’t appeal to avid gym users, but it might suit older, less-able demographics. Are they impressed with what they receive? Does The V-fit ATC1 Air Cycle Provide A Good At-Home Workout? 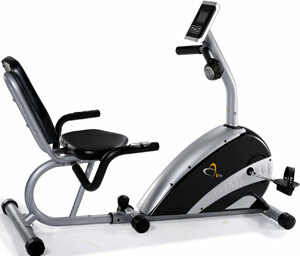 The V-fit ATC1 Air Cycle is a good-looking air bike with a simple specification. It comes with self-presenting pedals, a progressive air-fan wheel and an interesting tape resistance system. There is also a single screen monitor that provides information on speed, time, distance, scan and calories burned. Does this do enough to help newcomers? 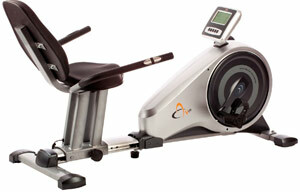 Can The Compact V-fit MXC1 Folding X Frame Magnetic Cycle Offer A Beneficial Workout? The specification for the V-fit MXC1 Folding X Frame Magnetic Cycle has many features that buyers want to tick off of their checklist. There is a magnetic resistance system, a six-function monitor to display progress and the promise of simple assembly. The shape of this bike, however, shows that this is clearly for at-home use and it initially appears to be quite a simplistic model. Does this system need more to impress users or does it provide a great user-friendly experience? Is The Gentle Simplicity Of The V-fit BK11-RC Recumbent Cycle A Pro Or Con? 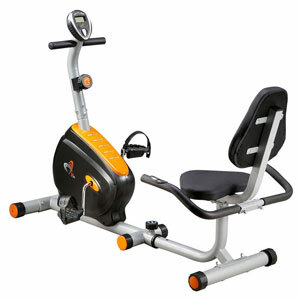 The good-looking, black and orange V-fit BK11-RC Recumbent Cycle is a model that will stand out to buyers looking for an attractive, simple exercise bike for home use. 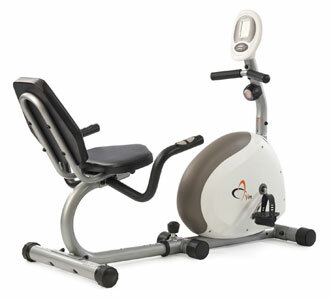 This recumbent machine has an adjustable seat with well-positioned handlebars, self-presenting pedals, a single screen 7-function monitor and a manual magnetic resistance system. This machine is designed to let users “achieve your exercise goals in the comfort and safety of your own home”. Are users meeting their targets or is this machine leading them to fall short? Is The V-fit MPTCR2 Recumbent Magnetic Cycle Too Basic Or Just Simple Enough? The V-fit MPTCR2 Recumbent Magnetic Cycle may not be the most high-end, flashiest looking recumbent bike on the market but the photos and specification suggest that it should be able to do the basics well enough. This exercise bike offers magnetic resistance through a 6kg friction-free cast iron flywheel, has a padded seat, oversized pedals and a simple, informative monitor to display the data. This bike is promoted as being a “comfortable all-rounder” but what do buyers think? Does The V-fit BST-RC Recumbent Magnetic Cycle Put Comfort Over Ability? One of the first things that buyers notice about the V-fit BST-RC Recumbent Magnetic Cycle is that it is quite a smart looking machine, with its silver and black colour scheme, and there is also the fact that it is definitely compact enough to fit into the required corner of the home. There is a clear sense that this is for the more laid back user that wants to exercise gently and consistently without things getting too intense. The light weight, low user weight capacity and minimal settings suggest that there is little going on with this machine but is this a positive or a negative thing in the eyes of its users? 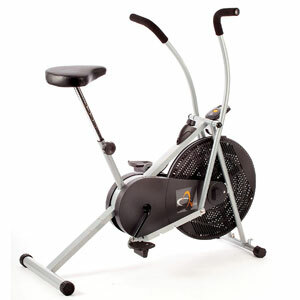 V-fit G-RC Recumbent Magnetic Cycle is an indoor cycling gear that can help you get back into shape within no time, it’s gray-green in color with a robust cylindrical steel frame and chip resistant finish that guarantees you years of outstanding performance. The handlebars are contour padded and adjustable plus connected to the deep comfy seat via a set of strong metallic frames, G-RC makes work easier for fitness enthusiasts who want to achieve their goals from the comfort of home. Once you install it at home just be prepared for a comfortable ride to the perfect body.